We have all been there. The world of quilting seems exciting to beginners yet intimidating at the same time. The vast array of supplies, patterns and tools to choose from seems overwhelming. Here are ten things to know before you start quilting. 1. Learn to select the right fabrics. Learn the basics of quilting including learning how to select fabrics. I recommend purchasing 100 % cotton fabric only for beginners. When mixing colors try to select colors that are part of the same color family. Patterns should be mixed in a variety. 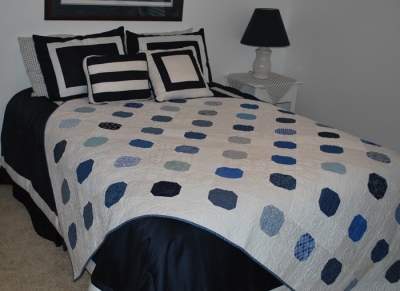 If you chose fabrics that are all the same size, your quilt will look to busy. 2. Make friends with your local quilting shop. If you are lucky enough to have one of these nearby, you will have it made. Your local quilting shop can be a valuable source of inspiration, education and savings. I highly recommend purchasing large tools, such as your first machine, from a local shop. Chances are very good that you will have lots of questions when getting acquainted with your sewing machine. If you need to take your machine with you to your shop its certainly helps that the shop is local. Many shops offer free advice and classes. Your local shop will help you in selecting fabrics and figuring how much to buy for a quilting project. 3. Purchase beginner friendly tools- A rotary cutter in a medium size is the one that you will most likely use most. Since you will be using your rotary cutter for cutting fabrics the most, expensive top-of the-line scissors are not necessary. For a beginning quilter buying that first mat, we recommend the 24″ x 36″ size, if at all possible. It’s easiest to cut fabric strips on because you fold your fabric only once. Spend money on items like seam rippers (I have more than one) and rulers. Templates can be created from recycled items like milk jugs and cardboard. It is not necessary to purchase high end templates. 4. Get used to the pressing station. Aside from the sewing machine, your iron and pressing surface will be used A LOT. Get into the habit of pressing each block as you create it. For beginners, pressing can seem tedious, but it really makes a difference in how your quilt turns out. Using your iron on steam setting can help things turn out crisp. 5. Gather inspiration. Mood boards and inspiration journals are both great ways to gather and use inspiration when you most need it. Magazine clippings, color and fabric swatches, inspiring quotes and doodles are all things that can be useful when you hit a creative rut. As you come across things that inspire you, gather them and display them in your creative space. 7. Start simple. Maybe a wonderful but complex pattern inspired you to start you to start on your quilting adventure. It may be appealing but rather complicated for a beginner. When choosing your first projects and patterns, look for patterns designed specifically for a beginner. 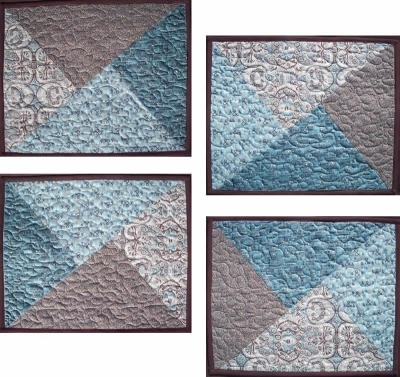 You can always move on to intermediate and advanced quilt patterns as you gain experience. 8. Join a guild. 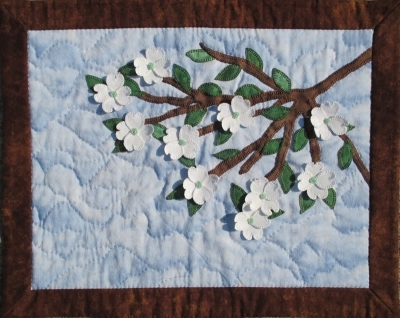 Quilting guilds can offer you friendships from like-minded people who share your passion for quilting. Additionally, educational opportunities are abundant from experienced quilters in the form of hands on demonstrations and workshops. 9. Keep your machine running smoothly. This is often the biggest mistake beginning quilters and sewers make. Make it a practice to clean and oil your machine on a regular basis. Frequent servicing of your machine is a must. Talk to your local sewing machine shop and find out their recommendations for caring for your machine. 10. Invest in a 1/4″ foot and a walking foot. Many experienced sewers, who take on quilting, have a hard time getting used to the 1/4″ seams used in quilting (versus 5/8″ seams in garment sewing). You will do almost all of your piecing with a 1/4″ seam. If your machine already has a needle position button that can move the needle over to the right to the 1/4″ position, then a separate 1/4″ foot is optional. The walking foot is invaluable when putting your layers together. Some machines have a built-in walking (or even-feed) foot. If not, purchase one that is made to fit your machine. There is no substitute for the walking foot. Do you have a question to ask experienced quilters? Experienced quilters, do you have a bit of advice for beginners? We would love to hear your comments or questions. This entry was posted in Helpful Tips, patterns, QuiltWoman and tagged beginning quilters, QuiltWoman, QuiltWoman.com, ten things to know, tips for beginning quilters. Bookmark the permalink. Hi Wilma – I found the Dressmaker line manuals here: http://www.dressmakermanuals.com Looks like they have the manual your model for about $10.00. I am an experienced quilter. I read the tips for Before you start Quilting. I found the items to been very helpful and I only wish that was around when I started to get into the Quilting Field. Now I wish you had guidelines for all the new fabric lines, patterns, etc and how quilters are supposed to keep up with it all. One thing that I have done is unsubscribed myself from various online shops I would frequent. That has been very hard to do. Any suggestions would be greatly appreciated. Thank you.